Click on the rotating arrow beside each book to place an order! Today's believer has lost something precious and its recovery is of paramount importance. Pastor and author Michael Gowens writes: "The modern Christian...has lost the pilgrim perspective that was so characteristic of the early church." The loss of this heavenly focus has resulted in a spirit of pessimism, cynicism, and hopelessness. "Into the darkness of postmodern despair," says Gowens, "the glorious gospel must once again shine with the triumphant message, "Behold, He cometh!" Glory to Come will fill your heart with anticipation and renew your perspective on the present as you contemplate the future. In May of 1995, Melanie Painter, mother of three small boys, was diagnosed with terminal cancer. Researching the treatment options, she discovered that she was also expecting a fourth son. Though she was encouraged to terminate her pregnancy for her own health, this remarkable woman and her husband stood by their convictions. By faith, they faced extreme adversity with a calm and quiet assurance. This inspirational story of Melanie's last days demonstrates the sufficiency of God's grace in every trial. This 389 page hardbound book is a Christian apologetic for the rank and file believer. It gives historical facts and biblical evidences to validate the Christian faith in the face of modern skepticism and false teaching. 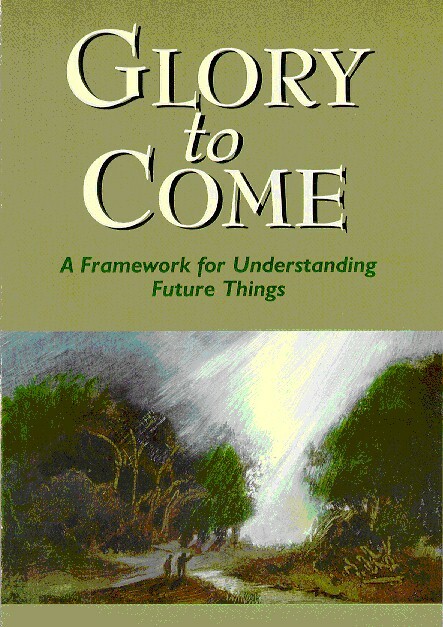 Subjects addressed include: The Historical Accuracy of the Bible, Proofs for the Existence of God, The Creation/Evolution Debate, The Deity of Christ, Proofs of the Bodily Resurrection of Christ, The Sanctity of Life, The New Age Movement, A Christian Response to Jehovahs Witnesses and Mormonism, as well as an entire section devoted to the Doctrine of Grace. Elder Ivey issues a clarion call for the recovery of the doctrine of repentance, both in terms of pulpit emphasis and personal practice. Without a penitent and converted ministry modeling an authentic Christianity in their own lives, the spiritual malaise within the church will continue, for the pew will seldom rise higher than the pulpit. Very few professing Christians, Ivey contends, understands, let alone practices Biblical repentance. A truly prophetic word for our times! Most Primitive Baptist histories trace the theological and practical succession through the London Confession of 1689. Ivey presents an eye-opening alternative as he documents a link to the Baptists in Wales through the Midland Confession of 1655. This scholarly work, the product of two years of extensive research, is well documented and easy to read. A 24 page theological essay on the immediacy of regeneration and the purpose of the gospel. The premier and most comprehensive theological work among Primitive Baptists in the twentieth century. A must for every serious student of the word of God. A very practical exposition of the general epistle of James with special emphasis on the importance of edifying speech. Challenging! A very helpful look at the relationship between the believers position in Christ and his practice. Elder McCutcheon distinguishes between relationship and fellowship, the gift of eternal life and the act of living the Christian life, and demonstrates the importance of consistency in Biblical interpretation. Does John 3:16 suggest that the extent of the atonement is general? How can one believe in particular redemption and this important passage simultaneously? In his answer, Elder Gowens develops the argument for definite atonement by discussing the two resurrections and two deaths of Revelation 20, then proceeds to a helpful analysis of this well-known and beloved verse. An excellent writer, the late Elder Dalton sketches the major themes of Psalms. A very helpful work both for personal devotion and Bible study. Is the doctrine of grace a license to sin? In this book the author begins with the premise that grace, when properly understood, is a powerful incentive to a holy life and deterrent to sin. This is a treatment of the Christian life in terms of human responsibility with the promise of the Holy Spirits assistance. The author distinguishes between the positional and the practical dimensions of Sanctification. What is revival? Is there hope for revival? Do you have a heart for revival? The author answers these basic questions in this fifty-six page study. A chapter is also included on the theme of personal revival. In this study of the character of God, Elder Gowens examines such themes as Gods Sovereignty, Holiness, Faithfulness, Grace, Glory, and many others. A more thorough Biblical understanding of Gods nature promotes greater peace, joy, confidence, and reverent worship in the life of the believer. In this study of the early church in Acts, the author highlights the passion and enthusiasm of the primitive Christians, an ardor springing from their awareness that Jesus Christ was indeed alive and active in their midst. The challenge facing contemporary believers is to model early church life, both in terms of its content and its passion. A thoroughly Biblical Christology concerning the sinlessness of Christ's person.